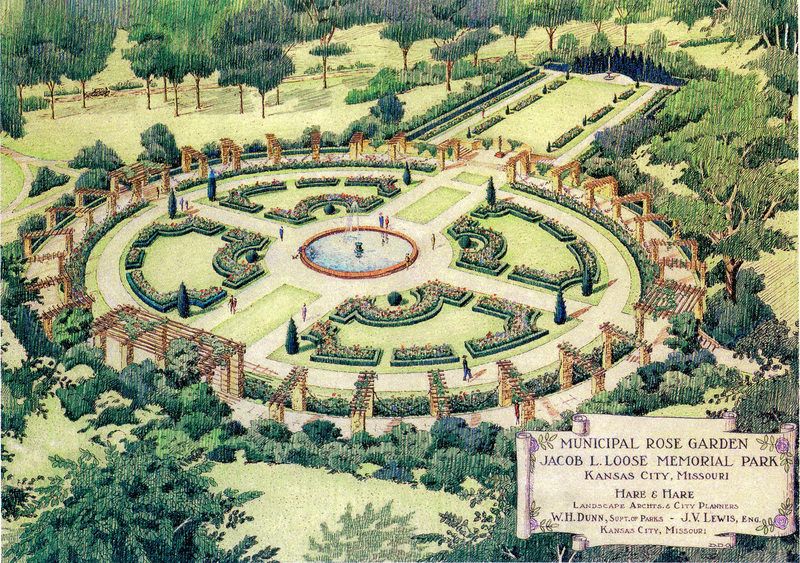 Kansas City’s Municipal Rose Garden is the realization of a dream that began in 1931 by a group of women led by Laura Conyers Smith. 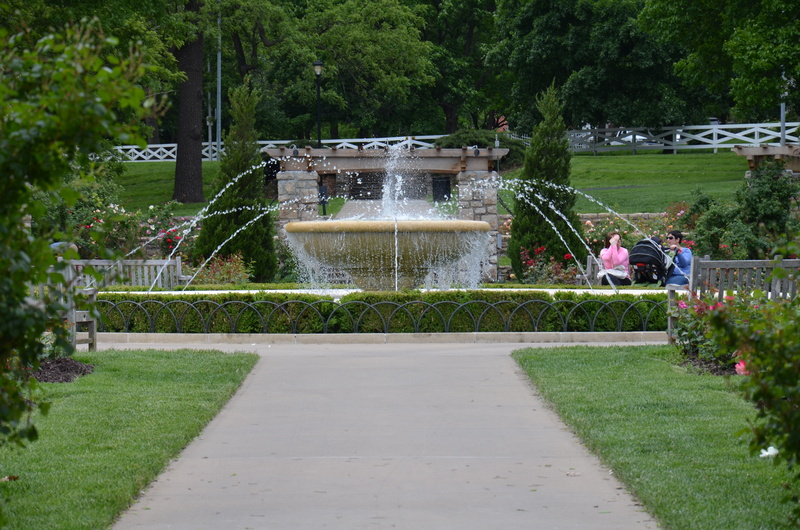 They established the Kansas City Rose Society which created the public rose garden in Loose Park. 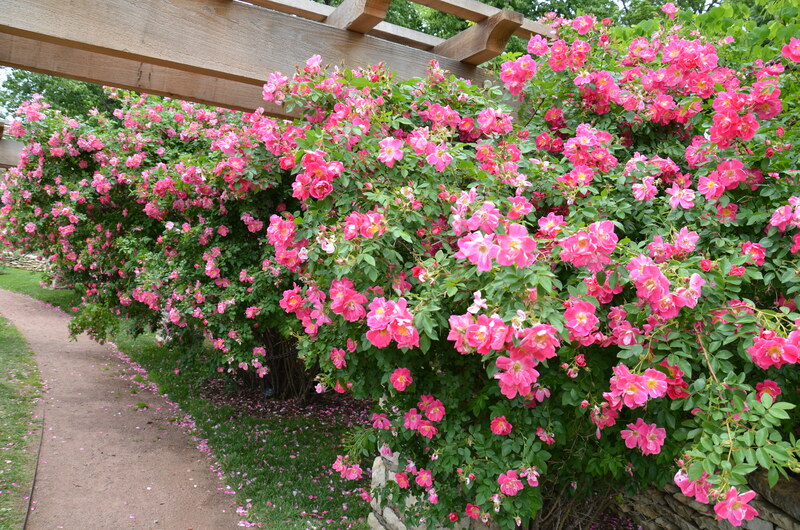 The first garden contained 120 rose plants. 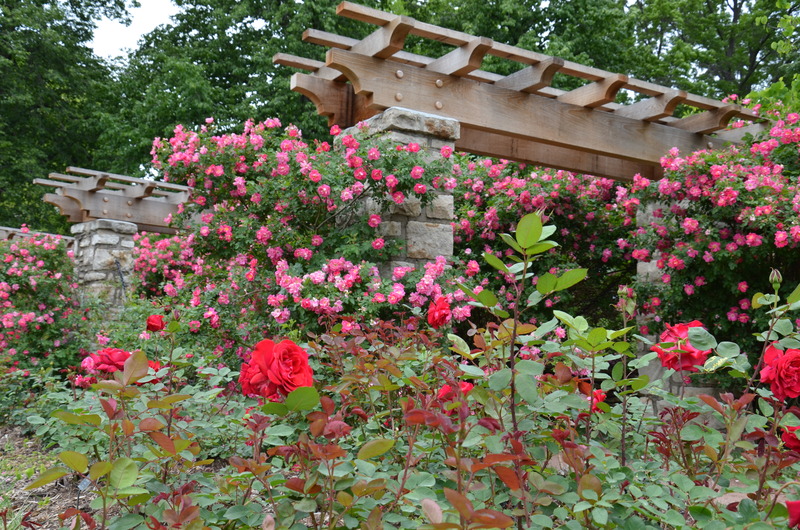 Now there are about 3,000 roses of about 150 varieties in the 1.5 acre garden. 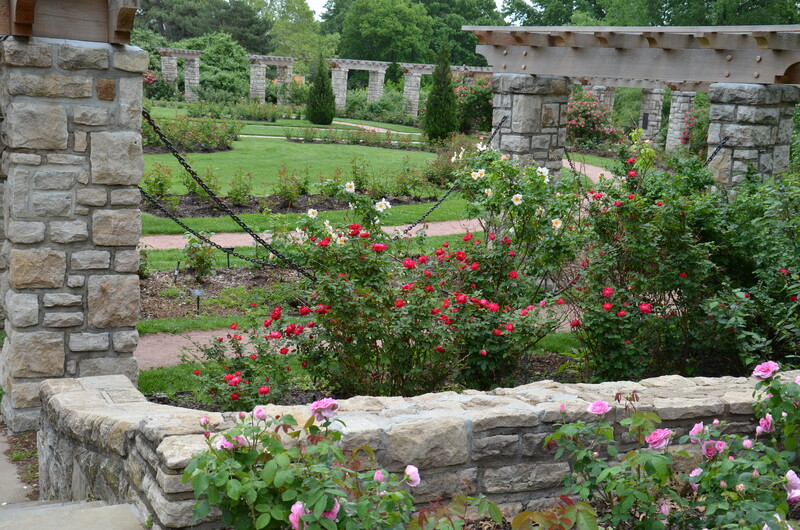 The garden has been maintained through a partnership of the Rose Society and the KC Parks and Recreation Department. 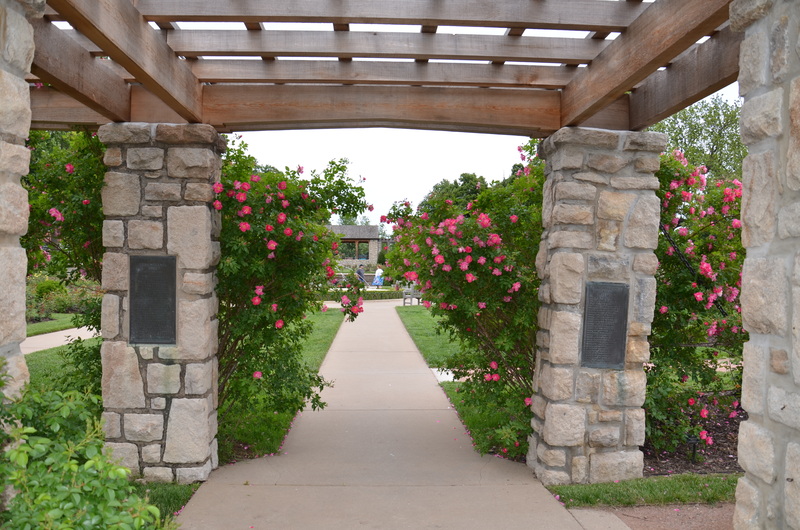 The Society furnishes all the rose plants and signs and the Parks Department personnel provide the ongoing care with the help of Volunteer Garden Groomers from the Society. 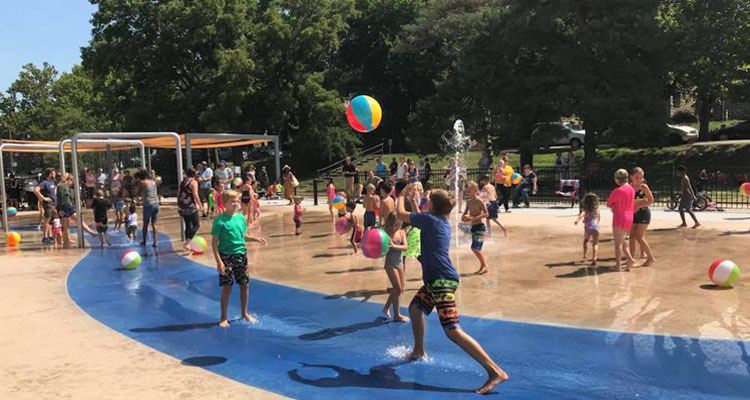 The KCRS has also raised and spent more than $1.3 million on a new fountain and other structural improvements in the garden since 2001. 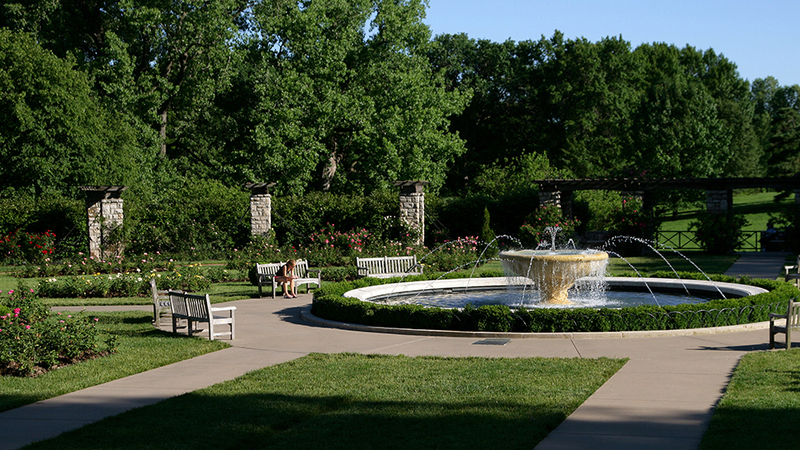 The circular plan of the garden was the concept of eminent landscape architect, S. Herbert Hare. 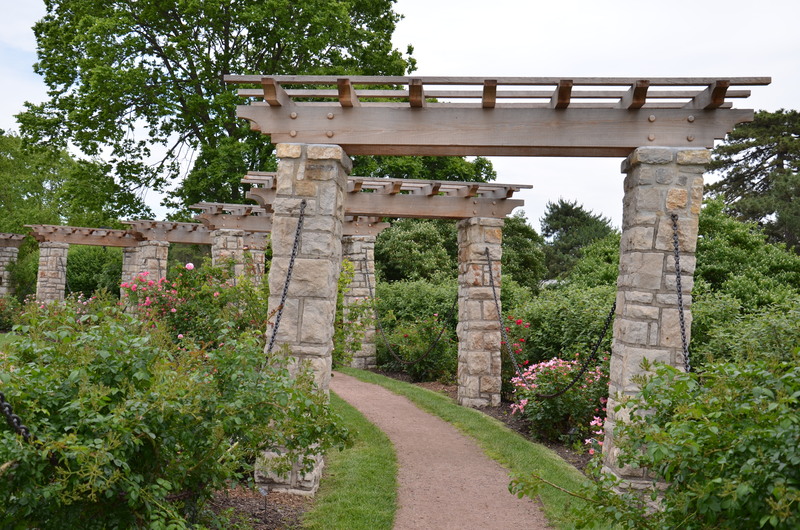 The garden’s pergolas, gifts from individuals and organizations in the early years, bear commemorative plaques. 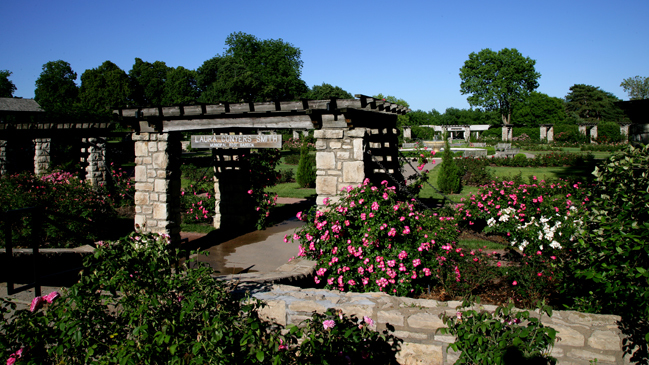 In 1965, the garden was officially named the Laura Conyers Smith Municipal Rose Garden. 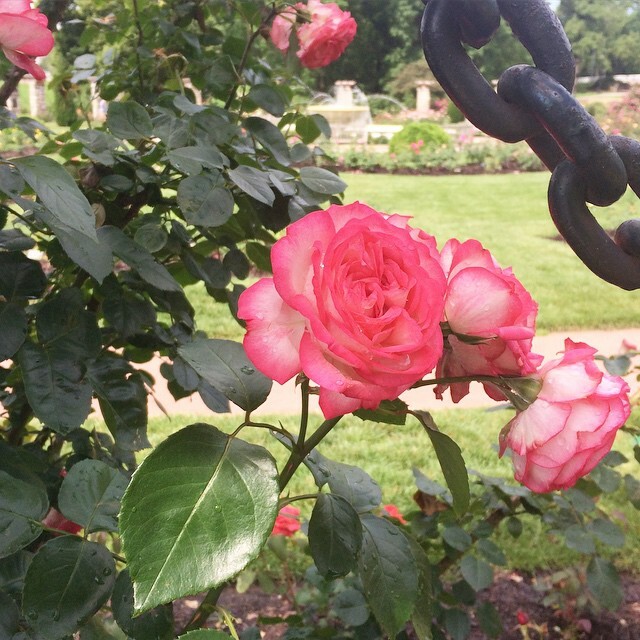 In 1989, the garden received a national honor bestowed by the American Rose Society. 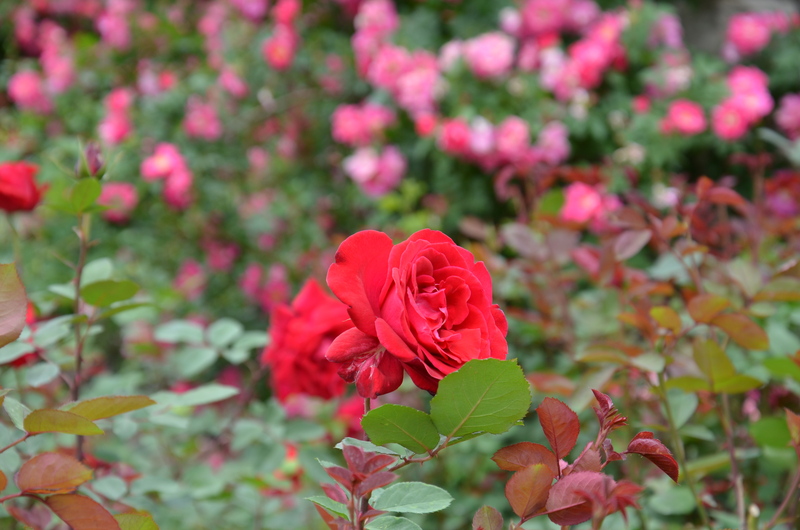 The All America Rose Selection’s Bronze Achievement Award is the highest given by the ARS. 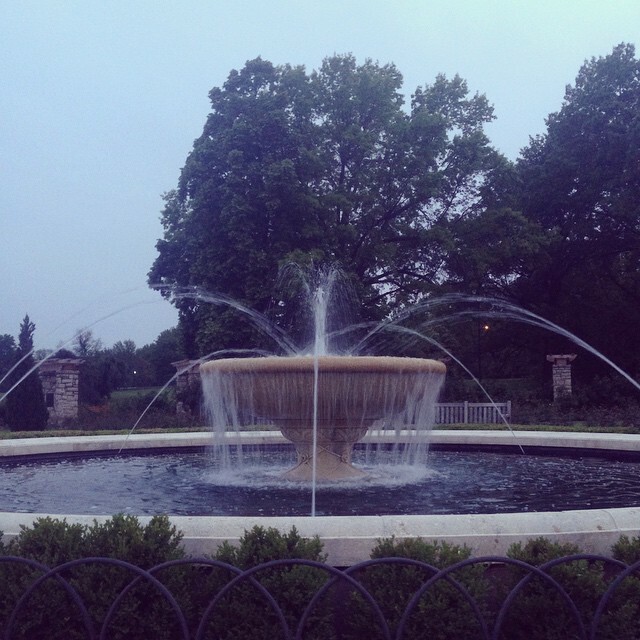 A new fountain and walks were completed in 2002–the Year of the Rose. 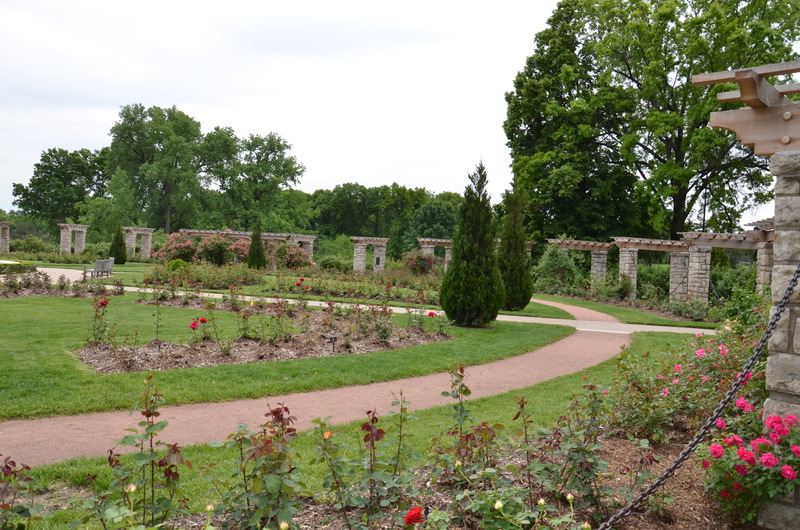 A Rose Garden restoration project was completed in December 2014. 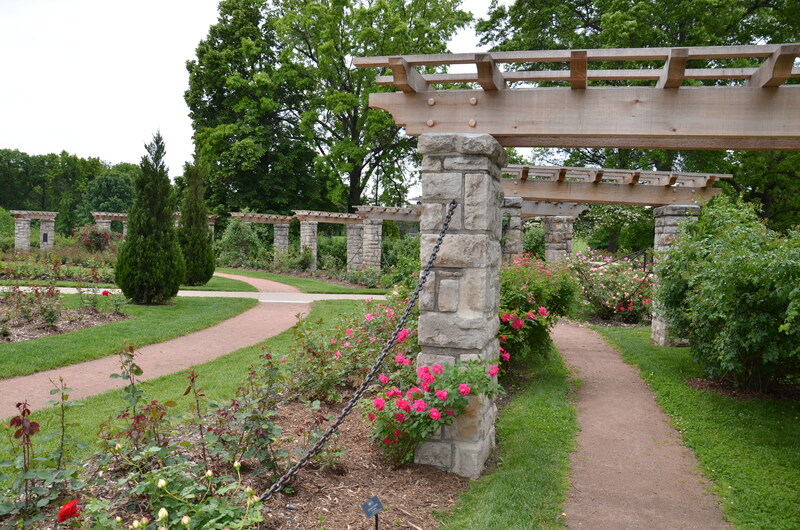 All 66 stone pillars encircling the rose garden were restored and new redwood cedar pergolas placed atop the structures. 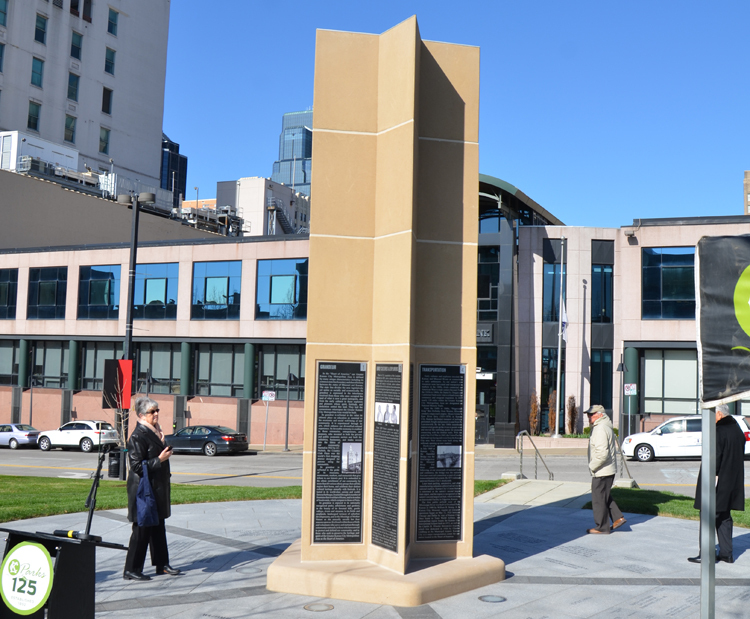 The bronze plaques announcing the garden, but stolen during the 1940s, were replicated and placed at each main garden entry. 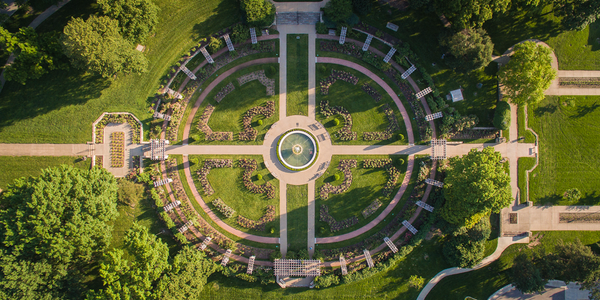 The purpose of the restoration plan, conceived in 2000, was to restore the entire rose garden to reflect the original design developed by the firm of Hare & Hare in 1931. 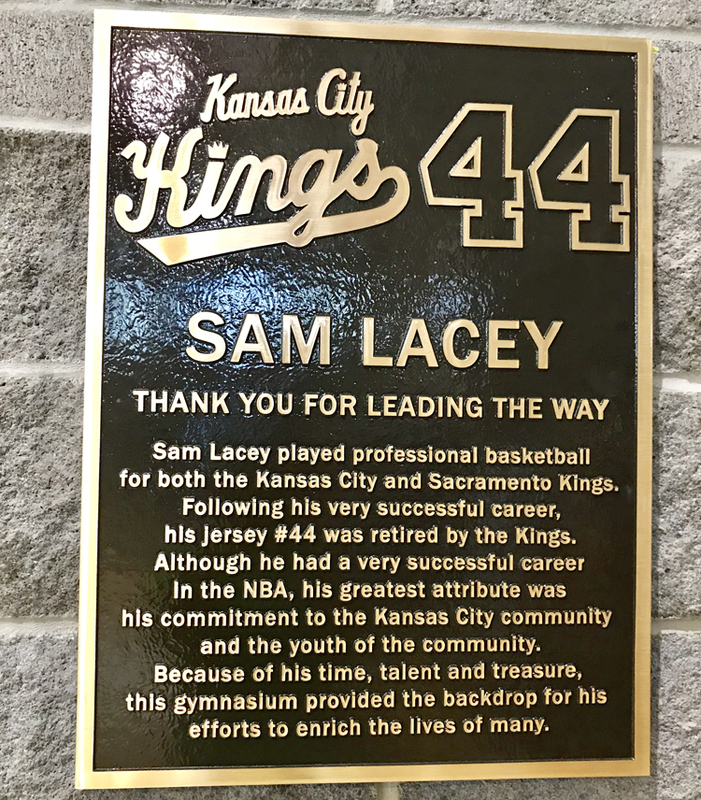 The process took 14 years to complete with the assistance of hundreds of donations from the Kansas City community. 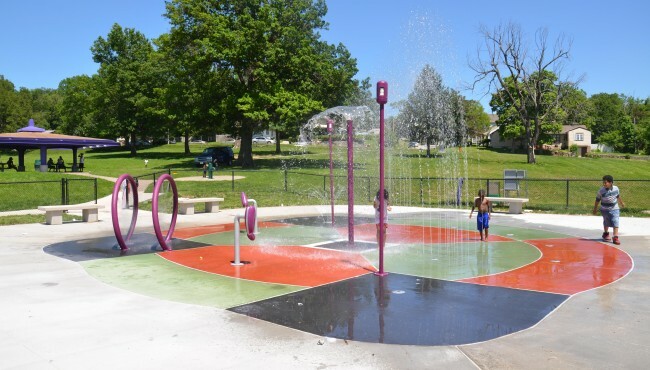 Corporations, Foundations, trust funds and individuals contributed $2 million to fund this endeavor. 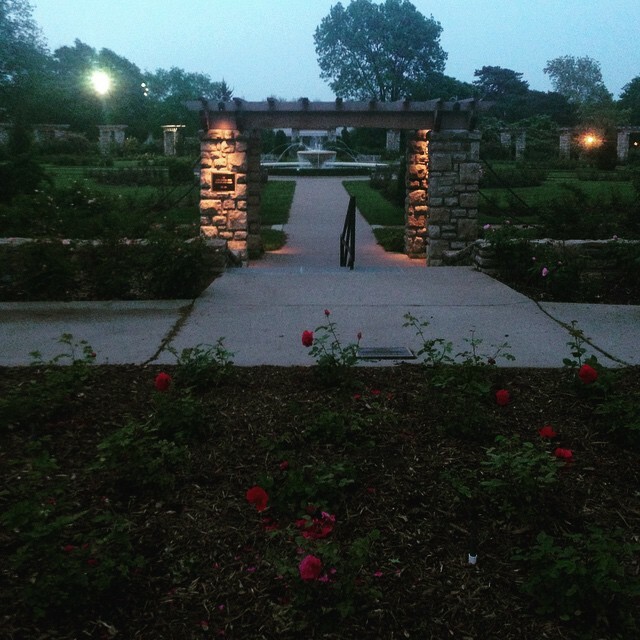 The Kansas City Rose Society wishes to express heartfelt gratitude to all those who donated to preserve this historic Kansas City treasure. 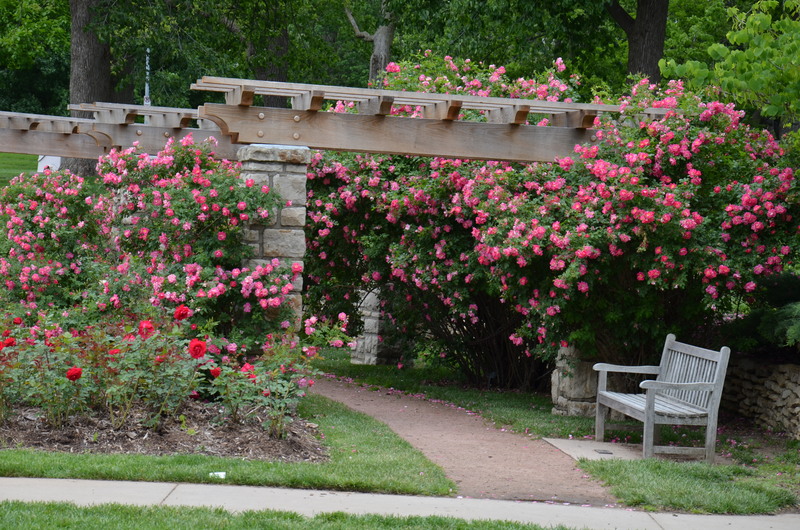 Donations to the Rose Garden can be given in memory of loved ones or as a gesture of friendship. 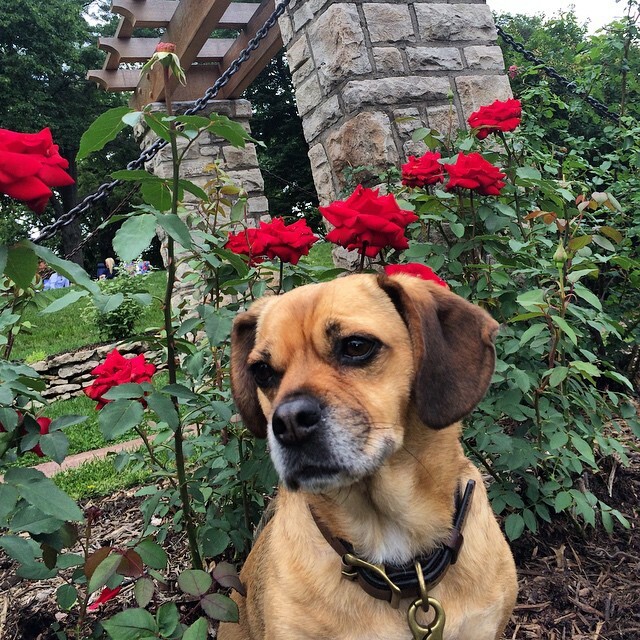 The Rose Society is a 501(c)(3) not-for-profit organization. 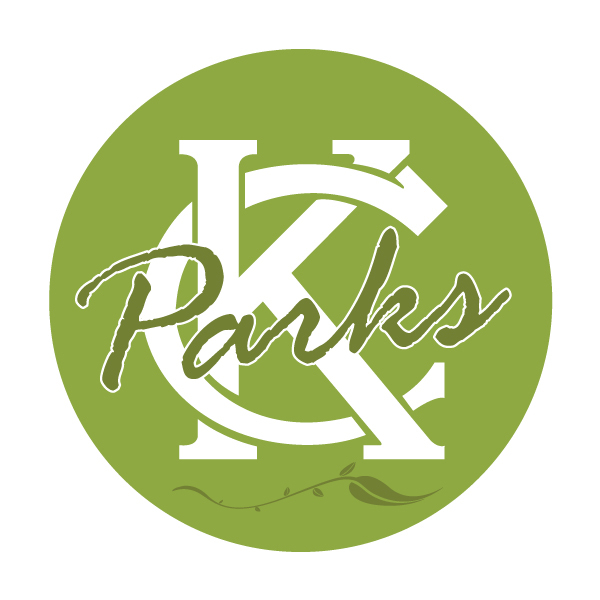 Memory and Friendship Roses can be purchased on the KCRS Website: Kansas City Rose Society. 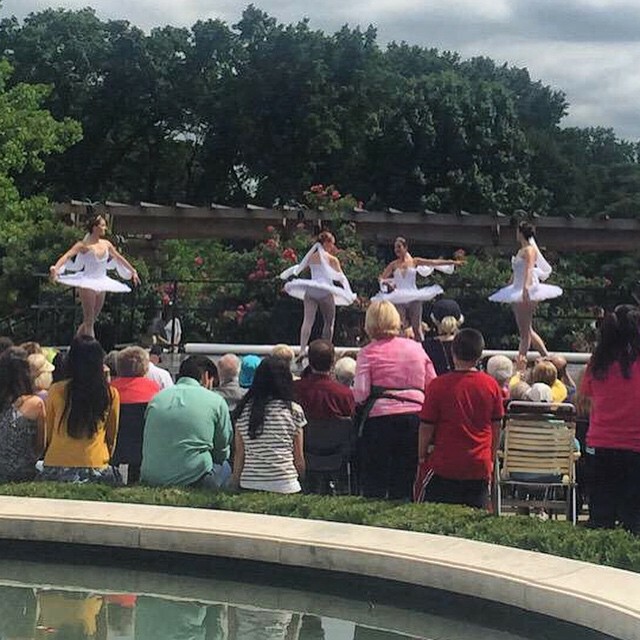 Each year at the height of the rose season, KCRS sponsors Rose Day in the garden and a Rose Show in the Loose Park Garden Center. 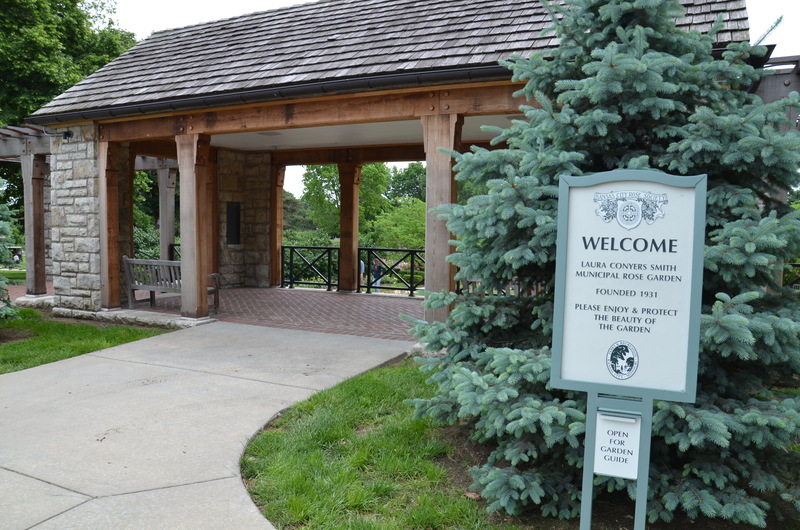 Spring and Fall rose care demonstrations are held in the Garden Center as well as other educational programs. 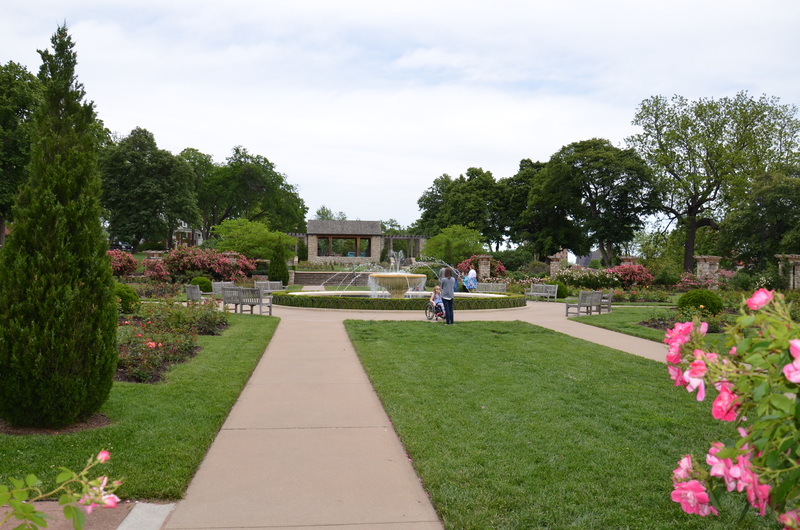 Several hundred couples are married in the Rose Garden each year. Reservations are required. 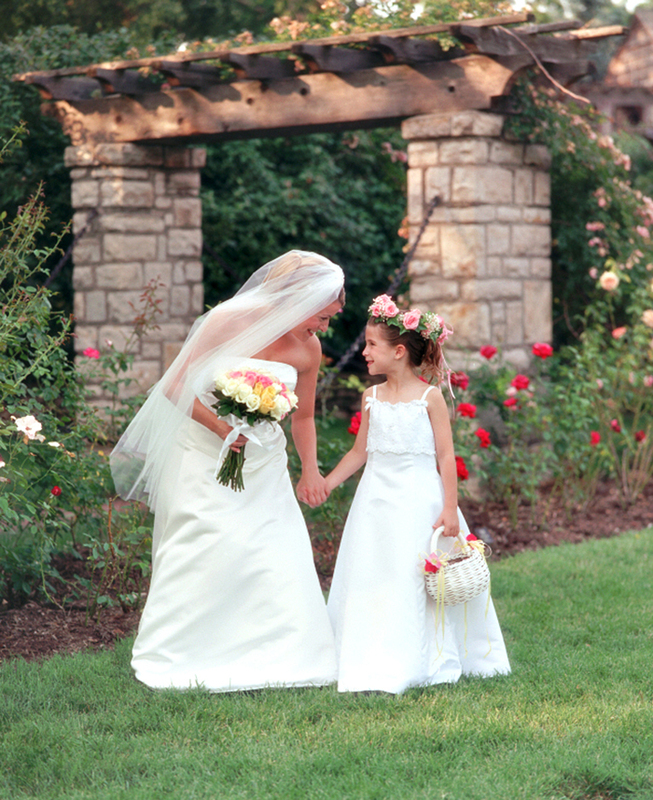 More information on weddings in the Rose Garden.